If you are one of those Google Adsense publisher from India and waiting for the EFT (Electronic Fund Transfer) or Direct fund transfer for your Google Adsense account. Here’s the good news. Google has informally announced it in the Google product forum which can found here. As per the announcement, the publishers have enable the self-hold option from the payment settings option before 16th March 16, 2014 for enabling the payments using EFT for March 2014. 1. Login to your Google Adsense account with the Login credentials. 2. Select “Account Settings” from the left sidebar and then identify the Payments Settings Group. Select “edit self-hold”. 3. 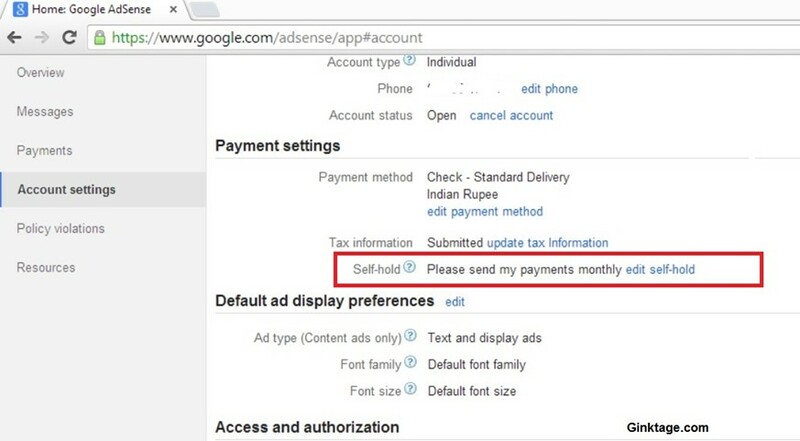 In the Self-hold screen, enable the option “Hold payments” and click “Apply” button. 4. You should then wait for the EFT options to be enabled for your account by google which would take some time. Well, I have currently not enabled the EFT option for my account. Since it’s in the initial days and like a beta testing, I am waiting to see the response and feedback from the other Adsense publishers and decide later.